A pork chop is a pork chop is a pork chop... right? Well kinda. According to Pork Be Inspired, "pork chops are the most popular cut from the pork loin, which is the strip of meat that runs from the pig’s hip to shoulder." However, since the chops come from this strip of meat, pork chops can have several different characteristics determined by where they came from in the loin which determines their actual name. 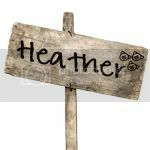 For years, when you went to grocery store to buy pork chops or ordered pork chops in a restaurant, they were simply labeled or listed as pork chops or used names like Top Loin Chop, Rip Chop, or Loin Chop. Meanwhile, most of us are familiar with names like Porterhouse, New York Strip, and T-Bone that have been used to describe the different steak cuts over the years. So a few years ago, pork decided to follow suit and provided specific names for the 5 different cuts of pork chops that mirror the beef steak names so as consumers we know exactly what we are buying or ordering. Porterhouse Pork Chops are from the lower back portion of the loin (just behind the rib chop) and have a characteristic T-bone shape. These chops include a lot of meat as well as a bit of tenderloin meat with the tenderloin being the most center part of the loin. Ribeye Pork Chops originate in the center of the loin in the rib area and include some back and rib bone. You can also occasionally find a boneless option of this pork chop as shown in the picture. 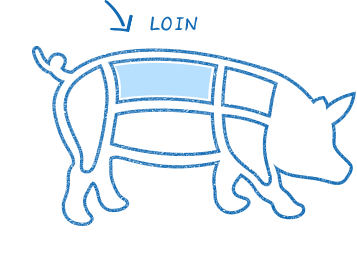 Sirloin Pork Chops come from the area of the loin around the hip and often include part of the hip bone. Blade Chops (not pictured above) are cut from the beginning of the loin in the shoulder area. They may contain some blade bone as well as back-rib bone. Blade chops are usually thicker and more marbled. Now I realize for someone that hasn't spent a lot of time analyzing the difference in meat cuts, this might be a lot to process. But the main takeaway is that as home cooks, we understand that there are different types of pork chops as certain recipes often specify the type of cut to use, even though you can usually use whichever cut you want. So you can choose the New York Pork Chop for that boneless convenience or you might what the attached bone of the Ribeye Pork Chop to add a visual to your meal. Either way, the cut doesn't determine the cooking length. It is the thickness of the pork chop that determines the cooking length. So my biggest advice is to always have a meat thermometer on hand when cooking pork chops as cooking them to the correct temperature is essential for having tasty pork and "for tender and delicious pork chops prepare your cut of meat to the internal pork cooking temperature of 145 degrees" followed by a 3 minute rest period before cutting and serving. Cream of Mushroom Pork Chops can be made with any of the 5 pork chop cuts. Garlic Pork Stir-Fry utilizes the whole pork loin which is where pork chops come from in the pig. Pork Chop Delight calls for thin cut boneless pork chops so your New York or boneless Ribeye would be best for this. Miss Jent, a fellow pig farmer, over at Farmwife Feeds adds a new twist to those bone-in Ribeye Chops with her BBQ Smoked Pork Chops. And Miss Jeanette, another fellow pig farmer, over at Fencerow to Fencerow used a loin roast (remember the loin is where pork chops come from) to make her Pork Pozole Soup that just may be in my freezer at the moment thanks to our Indiana Family of Farmer's Freezer Cooking Party. This post is sponsored by The Glass Barn, but all thoughts, opinions, and recipe recommendations are my own.